Rent The Magnolia Hotel | Corporate Events | Wedding Locations, Event Spaces and Party Venues. 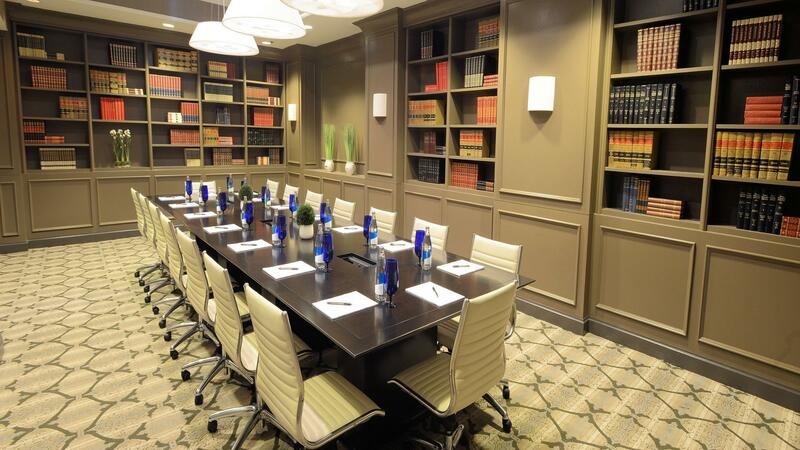 Over 10,000 square feet of meeting rooms comprise this Houston Executive Conference Center, which encompasses the entire third floor of The Magnolia Hotel Houston. Make doing business a genuine pleasure Magnolia Style with complimentary high-speed wireless Internet access in all meeting rooms and a dedicated meeting concierge. Pass through the suspended grand stairway connecting the Conference Center with The Lounge for even more breakout space and meeting rooms in Houston. The city's classic elegance is on display in Magnolia Hotel Houston's Sterling Ballroom, perfectly suited for large presentations and celebrations for up to 200 guests. Gather under the stars for a corporate social gathering or private dinner in the rooftop pool area of our elegant Houston event venues.